Some digital cameras have panoramic functions, where it would capture photos as time lapses all while moving the camera from side to side. This results to an even wider view, making it ideal for landscape photography. But having a steady hand is not enough to come up with flawless panoramas and Camarush has a witty solution to that. 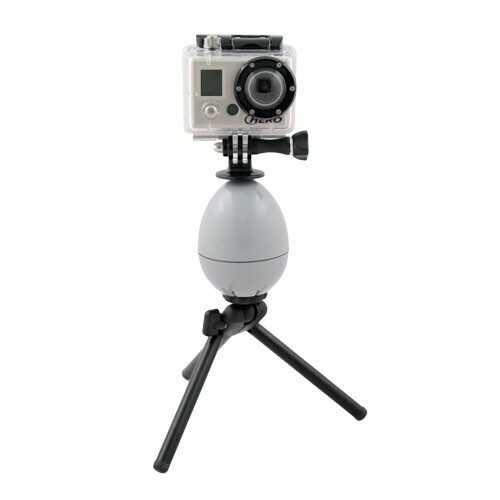 The Camalapse looks like an ordinary egg timer, even functions like one too, but this device can be mounted on a tripod, then place the camera on it. After setting your point-and-shoot camera to take time-lapse photos, twist the Camalapse as you desire, and let it turn up to 360 degrees in one hour as the camera keeps flashing. Stitch those photos together and the results are awesome. The Camalapse from Camarush is now available for only US$24.99. Camera, tripod, and tripod adapter not included, but you can at least choose whether you want the one that rings when done or not.